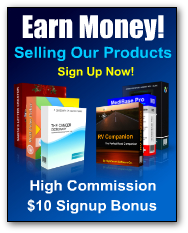 If you're an RV'er, you'll love having RV Companion along. 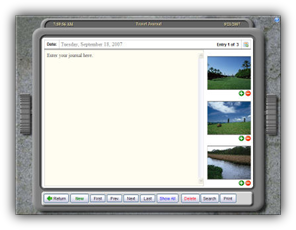 Whether you just need to find a camp, or keep a complete record of your journey, RV Companion is there. Available as electronic download or on CD. 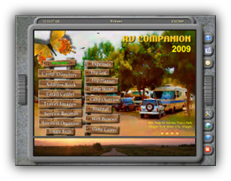 RV Companion was developed by an RV'er for RV'ers. 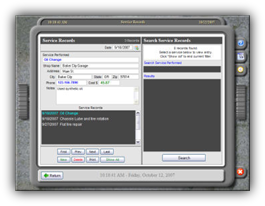 It fills the need for a way to easily locate camps, and keep track of related data that comes with operating an RV. 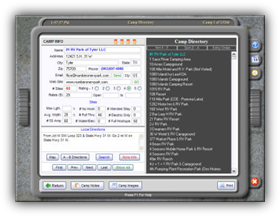 All in an easy to use interface that helps make RV'ing more organized and fun! Shareware. Trial will run unrestricted for 15 days. • Browse or use the Advanced Search for over 13,000 camps in the U.S. and Canada. • View extensive details for each camp, including GPS coordinates. 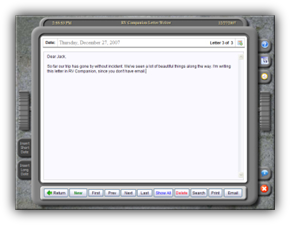 • Send email with pictures to family and friends. • Keep track of what's in your basement compartments. • Fill the Address Book with your family and friends. • Keep a daily journal of your travels with pictures. • Easily keep track of daily expenses during a trip. • Store your favorite photos of each camp and it's local events. • Store unlimited trip photos. • Keep notes for each camp you visit. • Easily access all features by just clicking on a sign board. • Use the handy digital alarm or the calendar, and help is just a click away. 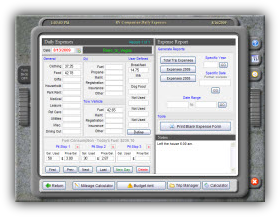 • Manually or automatically check for program updates. • Get a map, print directions, weather, TV listings for any camp with one click. • Browse the Web with the built-in web browser. • The Game Center includes 6 games to keep the kids occupied. Upgrades: To upgrade your current registered version, download the trial version and install over top of your existing installation. Your current data will remain intact. 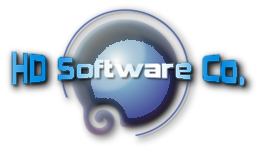 If you have any problems with any of our software titles, fill out a Trouble Ticket. Sign up for our Mailing List for announcements of updates and new releases. 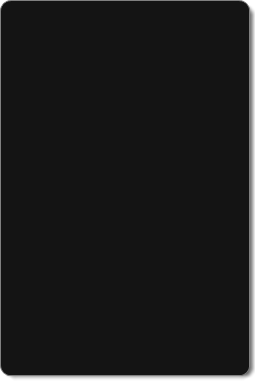 The entire camp directory is displayed to the right, and ready to browse. The left hand panel displays the info for the selected camp, including contact info, # of sites, rating and rates. You can also send the camp an email or visit their web site with one click with the built-in web browser. Plus, local directions for once you get off the highway. You can also add new camps not in the database. Got a GPS unit? One click and copy them to the clipboard. View a satellite image using the Google Maps feature to see the campground and get directions. RV Companion uses a series of slide out panels that reveal themselves when selecting many of the features. For example, to view more details for a camp, click the "More Info" button and a panel slides out on the right containing that information. Detailed information is provided for each camp. 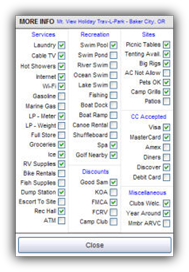 The checked boxes show the services and features they offer. If you find any of the information to be incorrect, reporting it is as easy as clicking the check box. Forgot what the camp looks like? Store up to 6 images for each camp in the Camp Images Panel. Keep notes about each camp in the Camp Notes Panel. Ever wondered which basement bin those paper plates were in? 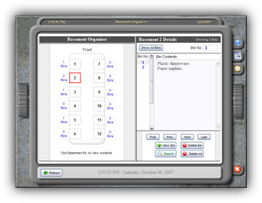 The Basement Organizer helps you keep track of what is in each basement, allowing you to assign bin numbers to each container, and list the items in the bin. No more searching through each basement to find what you want. Need to find the paper towels? Search for "paper towels", and all bins containing that item will pop up. Want to know what's in basement 5? Just click to get a list. Address Book to keep your contact information for friends and family. Store two of your favorite family photos. Also keep notes on such things as birthdays, anniversaries, etc. Easily search for contacts, and send them email with one click. If they have a web site, go to it with just a click. It's easy to send email to family and friends. Attach as many photos as you want. 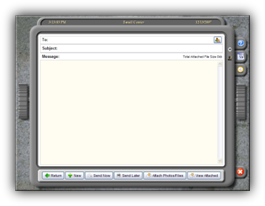 Easily get recipient email address from Address Book. 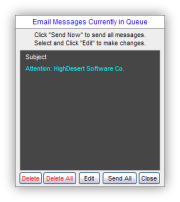 Queue messages to send later when you get to an internet connection. With just a couple of clicks, you can email your friends or family your latest pictures to keep them updated of your trip. A picture is worth a thousand words. Keep a daily journal of your trip with the Travel Journal. Store your thoughts of the day, or the events of your trip. Store up to 3 images that relate to your day. Search by entry content or by journal date. Create as many entries as you want. Easily print them out. Search the journal and find any entry quickly. Keep records of your RV Maintenance. Get a quick summary of your total expenses. Search for any maintenance record. Keep track of how much you spend on each trip. Track General, RV and tow vehicle expenses. Instantly see how much you spent on fuel for any day. Generate detailed reports, including Overall , current year, or last year. Easily print out a blank expense sheet you can keep with you at the helm. Most of us take pictures during our trip. It's nice to keep them all in one place, and be able to view them when we want. Just click the thumbnail to enlarge the imeage. 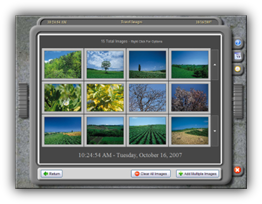 Store an unlimited number of images. 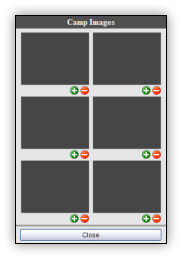 Add or remove a single image, or multiple images. Write a letter home, or email it to friends and family. Holds an unlimited number of letters. Easily search letters by entry keyword or by date. Keep the kids occupied during your trip in the Game Center. Includes the kind of interactivity kids love along with 3 TicTacToe games and 3 puzzle games. Click on the duck to make him squawk, or the monkey screech.